Spring graduates may receive their diplomas at Commencement. Summer and fall graduates will receive their diplomas by mail within eight to ten weeks of degree conferral. Students must meet all financial obligations before their diplomas can be released. There are no formal commencement exercises held at the end of the summer or fall terms at Emory University, except for the School of Medicine. Diplomas for all other summer and fall graduates will be mailed once final clearance has been received from your school. Summer and Fall diplomas will be mailed to the diploma address listed in OPUS; if there is no diploma address it will be mailed to the permanent address listed in OPUS. Students should update OPUS with the most current address and email information, as this will be where you will receive all commencement information. Please allow approximately eight to ten weeks after the end of the term to receive your diploma. The Office of the Registrar will order a diploma, with the appropriate honors notation, after degrees have been certified and we receive the official honor recipient list from schools. The honor diploma will be mailed, by U.S. Postal Service, to your diploma address in OPUS. Please allow eight to ten weeks processing time, after your conferral date, to receive your diploma. Honor diplomas are ordered for the following schools: Emory College of Arts and Sciences, School of Business (undergraduates only), School of Nursing (undergraduates only), School of Medicine, and School of Law. Spring graduates are required to participate in the Spring Commencement exercises. Spring graduates may receive their diplomas after the Commencement ceremony. Students graduating in the Spring who feel they have reason to graduate "in absentia" must submit a request, in writing, to their school dean before Commencement. The dean will rule on this request and inform both the student and the Office of the Registrar of the ruling. Diplomas not distributed after Commencement will be mailed to the diploma address listed in OPUS after degrees have been certified. Students should update OPUS with the most current address and email information, as this will be where you will receive all commencement information. The Office of the Registrar will order another diploma, with the appropriate honors notation, after degrees have been certified and we receive the official honor recipient list from schools. The honor diploma will be mailed, by U.S. Postal Service, to your diploma address in OPUS. Please allow eight to ten weeks processing time, after your conferral date, to receive your new diploma. Honor diplomas are ordered for the following schools: Emory College of Arts and Sciences, School of Business (undergraduates only), School of Nursing (undergraduates only), School of Medicine, and School of Law. * Honor diplomas are ordered, for certain schools, after degrees have been certified and after your school submits the official honor recipient list. ﻿Note: Majors and minors do not appear on the Emory diploma. However, your major and minor will appear on your official transcript.  Note for Double Majors: Emory College Students MUST apply for either a Bachelor of Arts degree OR a Bachelor of Science degree. If you are a double-major and have completed requirements for both a BA and a BS you MUST choose one OR the other for diploma purposes. Please make certain all grades have been submitted and recorded in OPUS as this may affect the final notation of honors. Honor diplomas are ordered after degrees have been certified and after your school submits the official honor recipient list. Honor diplomas will be mailed, by U.S. Postal Service, to your diploma address in OPUS. Please allow eight to ten weeks processing time, after your conferral date, to receive your honor diploma. Honor diplomas are ordered for the following schools: Emory College of Arts and Sciences, School of Business (undergraduates only), School of Nursing (undergraduates only), School of Medicine, and School of Law. Emory University will print the student's official name on the diploma at the time of graduation. The full name will be used. The student's name is recorded as submitted at the time of application for admission. Variations of the student's official name of record will not be permitted on the diploma. Students wishing an alternate name on their diploma are advised to consider an official name change. For more information, please review the University's policy on student name changes. If you realize your name is incorrect after the name change deadline, you must submit an official name change form and a request a replacement diploma through our Online Ordering Service. A replacement fee of $50 is required at the time of request before another diploma can be ordered. 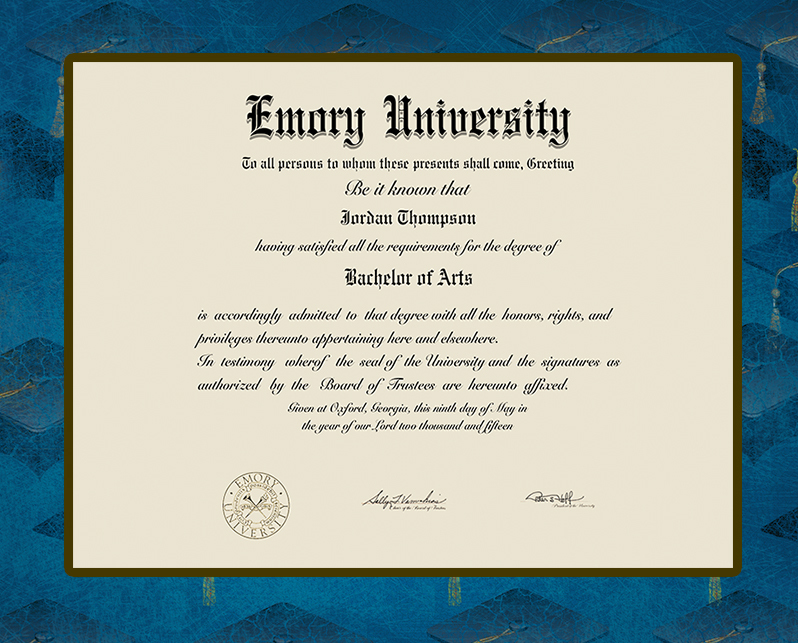 The size of Emory’s diplomas is 17″ by 14″. The diploma is an important symbol of academic achievement. However, Emory does not recommend that the diploma be accepted in lieu of an official transcript or degree verification. If you are presented with an Emory diploma as evidence of a degree, please feel free to contact the Office of the Registrar at registr@emory.edu for verification of the document. Alumni may request a replacement diploma if the original diploma has been lost or destroyed at a cost of $50. Alumni are asked to submit a diploma replacement request through our Online Ordering Service. Replacement diplomas follow the format of the current Emory diploma and contain the signatures of current Emory officials. Replacement diplomas list the student’s name as it appeared on the student’s transcript. A statement of replacement is printed in the lower left of the diploma and is not visible upon the framing of the diploma. Replacement requests are processed within three to four weeks. Further questions regarding replacement diplomas may be referred to registr@emory.edu. Emory University does not maintain copies of diplomas. Alumni needing a notarized copy of their diploma should submit an 8 1/2 x 11 copy of their diploma through our Online Ordering Service and select the following product after you create an account. Apostille/Great Seat (Student Processing) - Select this product if you want Emory to notarize your diploma and return it to you. There is no charge for this service. Final Degree Clearance: Degrees will be conferred and mailed only after final degree clearance has been received from the appropriate advising or divisional offices. If you have any of these three holds on your student record you will not receive a diploma or transcript until the obligation has been fulfilled. However, this does not prevent your actual graduation or conferral of your degree. To resolve, please contact the department who issued the hold.